Aerial view of paddy field and road in Thailand. 4k00:35aerial view rice fields, agricultural land with sown green in countryside. farmland with agricultural crops in rural areas Java Indonesia. 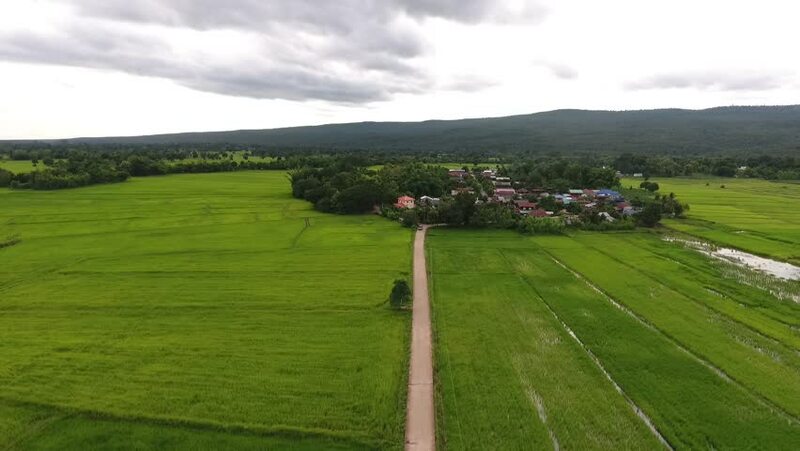 Land with grown plants of paddy Aerial footage. 4k00:40Stunning aerial shot over lush green fields and meadows in the countryside. Clear, bright summer day and the sun is shining. Aerial footage. hd00:46Taiwan, Taitung, Ricefields, Drone footage. 4k00:10Aerial shot of Farmer walking in to rice field plantation.